Online purchasing; Drop Stop; untested CBD is sold in some local pharmacies; the gig economy. Three U.S. Representatives from Florida said they were denied entry to a Homestead facility housing migrant children on Monday. NBC 6's Steve Litz reports. 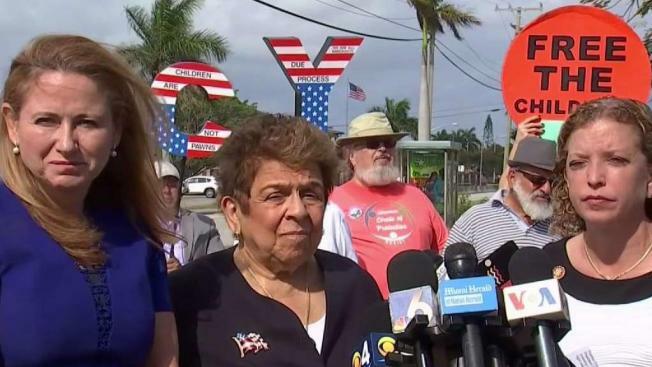 U.S. Reps. Debbie Wasserman Schultz, Debbie Mucarsel-Powell and Donna Shalala vowed to take legal action against the Trump adminstration after they were denied entry Monday to a detention facility housing migrant children in Homestead, Florida. The U.S. Department of Health and Human Services told the Democratic lawmakers last week they would not be allowed access to the federal detention center. Despite the rejection, the congresswomen from South Florida on Monday attempted to gain entry – citing the refusal is a violation of a law signed by Trump himself. “We are going to get access to this facility, upon our terms, not ORR’s [Office of Refugee Resettlement] terms,” Wasserman Schultz said. Joined by Shalala and Mucarsel-Powell, Wasserman Schultz told reporters outside the facility that the new law affirms members of Congress “must be given access to conduct oversight” and rejected the ORR's claim that facilities require a two-week notice. Mucarsel-Powell said she finds the resignation of Department of Homeland Security Secretary Kirstjen Nielsen "extremely troubling" as the Trump administration felt Nielsen, "the woman that was overseeing the cruel policy of family separation," was "too friendly to the immigrant population." Homestead is now one of the facilities with the largest number of migrant children in the U.S. The children in custody are teenagers, ages 13 to 17, who arrived on their own, hoping to join relatives. The attempt to take the tour comes after HHS announced that they will significantly expand the bed capacity at the shelter despite lingering concerns over inadequate staffing, space and other services, according to the congresswomen. “Denying entry to oversee the conditions and care provided to the unaccompanied children in the Homestead facility would not only be a breach of transparency and confidence in the care provided there, it would violate the law,” said Wasserman Schultz, Shalala, and Mucarsel-Powell in a joint statement. This is the second time the facility expands its bed count. The government had announced in December that the facility in Homestead was increasing the number of beds from 1,200 to 2,350. The expansion will now take the bed count to 3,200. The expansion is set to take place later in April. In June 2018, Wasserman Schultz was initially denied entry to the facility along with former U.S. Sen. Bill Nelson and others. They were eventually allowed to tour the facility days later. What Happens When Families Get Separated at the Border? Children are being separated from their parents at the U.S.-Mexico border. This is what happens once they're separated. An e-mail from a DHS adviser said the expansion was due to a surge of migrants crossing the U.S.-Mexico border. 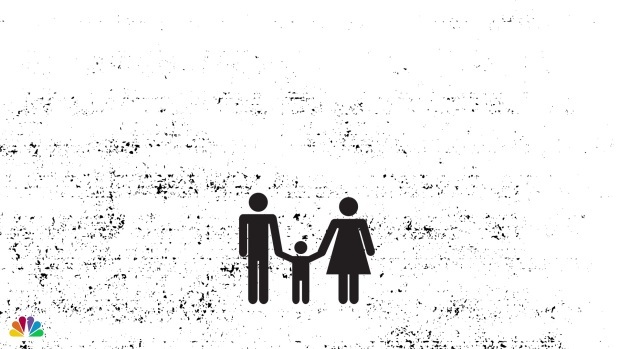 Children who arrive without parents or legal guardians are placed in the custody of the agency. New federal requirements mandating more stringent background checks on their families since last summer have slowed the children's release to family members. The average length of stay at Homestead has gone up from 25 days last June to 67 days as of December. A legal team visited the shelter in February to verify whether it complies with a 1997 agreement known as the Flores settlement, governing how migrant children are housed in custody. J.J Mulligan Sepulveda, an attorney at the Immigration Law Clinic at University of California, Davis, said they interviewed children and described a few instances in which they broke into tears describing the "military-style" conditions at the facility where they can't hug one another. Some feared that expressing emotion could get them referred to mental health services. "A lot of them saw mental health services as a punishment, and thought it would affect their immigration case," Mulligan Sepulveda said. The attorney also said he met a boy who was separated from his brother when the center began its expansion. He said they are only allowed to see each other once a week. The Florida Department of Children and Families said in an emailed statement in January that because it is a federal facility the state agency "does not have any jurisdiction or involvement with children placed there." Comprehensive Health Services, which is part of Virginia-based Caliburn, isn't able to use Florida records to screen the staff for child abuse and neglect because Florida law bans any outside employer from reviewing information in its child welfare system. Child abuse and neglect checks were waived because of these limitations, officials say.